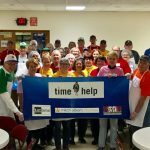 A Time To Help is teaming up with Ravendale Community, Inc. on Saturday, April 26 to clean up an old, abandoned building that will soon become the new home of the Ravendale Community Center. Located at 8030 E. Outer Drive in Detroit, the former Duke Ellington Conservatory of Music and Art Building is slated to become the new neighborhood center and will house culinary classes, a job referral and job search program, summer and after school youth programs, computer classes, and a community resale shop, among others. The center will also lease space to other non-profits in need of a home base. 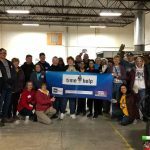 Eighty volunteers are needed to help clear debris, sweep floors, move furniture, and strip walls of remaining signage in the kitchen and cafeteria so they can be renovated into the culinary arts center. [Click here to register as a volunteer.] Workers are required to bring gloves for their protection, but they’re also being asked to bring brooms, dust pans, and additional cleaning supplies, if they can. 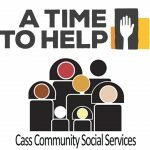 If volunteers can’t bring their own equipment or supplies, they should notify event coordinators when they sign up at time.to.help.email@gmail.com or by calling (313) 309-5800. Those who want to donate monetarily to the renovation can do so through Ravendale Community, Inc. at P.O. Box 13189, Detroit, MI 48213.